Over the winter Kevin Morlock of Indigo Guide Service and I began talking about what's becoming my yearly trip to Beaver Island and he was in the mood to do an early season media/industry trip to expose a few key people to the island, the fishery, hopefully develop some content, and overall just have a good time on the water and off. Plans were made, dates were picked, invites were sent out, and a surprising amount of industry support has come together for what's been dubbed as "BEAVER BASH 2014". The attendees of this year's event cover all the bases from a couple freelance writers, to photographers, to videographers, to a hack (me) that writes a blog before work almost every morning. This will be a fun group to hang with for the week. Everything starts next early on Tuesday with all of us flying over on Island Airways, dropping our luggage and extra gear off at The Fisherman's House, and then hopefully jumping into the boats by late morning. Weather permitting we'll be on the water for the better part of a week during a spring season that has already been quite stellar carp wise for the the Indigo Guide Service crew and their clients. 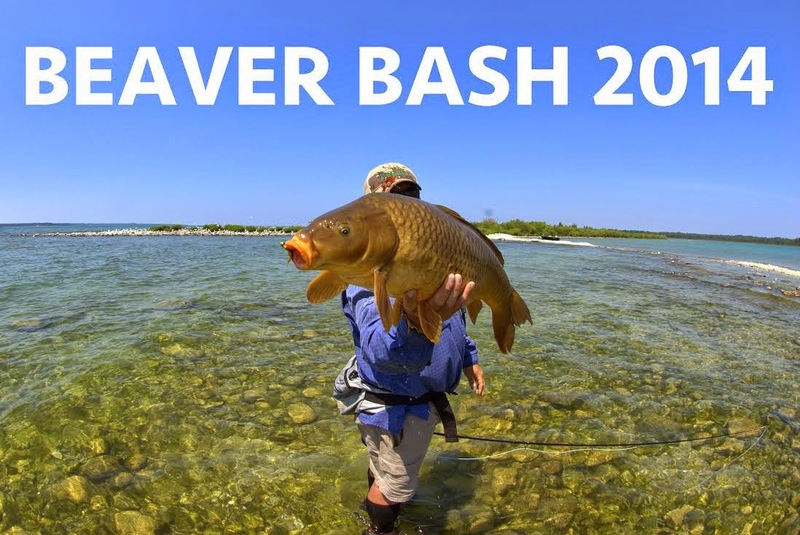 I will be posting daily dispatches from Beaver Island as well as social media updates using the hashtag #beaverbash2014 along with my usual #glassisnotdead. Follow along on the fun with more updates and likely some hijinks to follow.